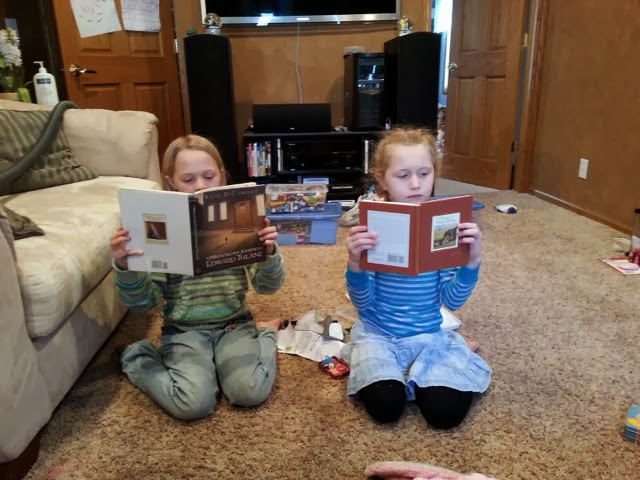 One of the best things about discovering a great book is sharing it with others. When our first niece was born, the Coffee Queen and I decided we were going to be the aunt and uncle who give books. This year for Christmas the nieces received Kate DiCamillo's The Miraculous Journey of Edward Tulane and Because of Winn-Dixie. Our older niece has been reading longer books like this for a while, but this was the first book of this length the younger one had tackled. It's a joy to be able to share these stories with them, and there are so many, many more wonderful ones to introduce them to.